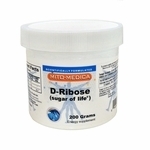 Riboflavin is involved in vital metabolic processes and is absolutely essential for normal cell function, growth, and energy production. 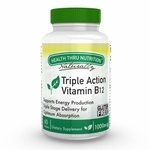 100% pure Riboflavin (Vitamin B2) from Health Thru Nutrition is now available as a Mini Vege-Capsule. Each easy-to-swallow mini-capsule delivers a full 100mg of Vitamin B2 Riboflavin. Each bottle contains 100 mini-capsules and, at the suggested serving size of one per day, you get a bit more than a 14 week supply, (over three months!). 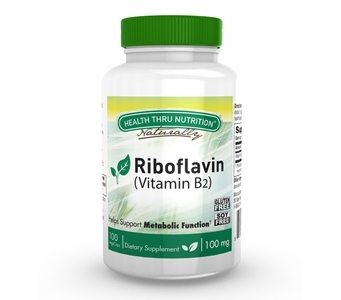 Riboflavin, (vitamin B2), is important for body growth and red blood cell production. It also helps in releasing energy from carbohydrates. Riboflavin is water soluble, which means it is not stored in your body. You must replenish Riboflavin / vitamin B2 every day! Healthy individuals who eat a balanced diet rarely need riboflavin supplements. However, particular groups may be especially susceptible to riboflavin deficiency, including the elderly, those with chronic illnesses, the poor, and those with alcohol dependency. Because riboflavin is a water-soluble vitamin, leftover amounts leave the body through the urine -- NOTE: some people might notice a bright yellow color to their urine after taking Riboflavin. There is no known poisoning from riboflavin. Patients with suspected riboflavin deficiency should be evaluated by a qualified healthcare professional. Other Ingredients: Hydroxypropyl methylcellulose, silicon dioxide, and NON-GMO vegetable magnesium stearate. Directions: Adults: Take one (1) vege-capsule daily, or as directed by your healthcare professional. Keep bottle tightly closed. Store in a cool, dry place at controlled room temperature 15�C-30�C (59�F-86�F).